It is my great pleasure to announce that October is Steampunk Month here on Mad Hatter's Bookshelf and Book Review. Steampunk is a genre that has been growing on me for a number of years. Ever since I was a child the stories of H.G. Wells and Jules Verne have kept me enrapt with not only the story telling, but with the styling as well. There is just something about brass cogs and Mad Scientists that turns me on. The output of titles has only been getting better and more diverse the last couple of years with the likes of Cherie Priest, Gail Carriger, Tim Akers, Jay Lake, S.M. Peters, and Ekaterina Sedia all morphing the genre to their will. 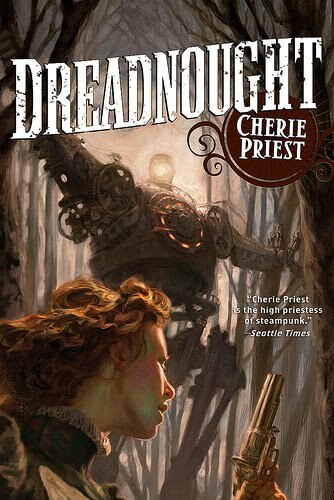 Sure Steampunk books have been, somewhat steadily, published for the last two decades, but now it has become a franchise on to itself. 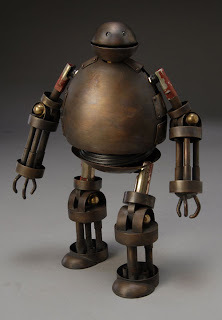 The majority of Steampunk is considered Sci-Fi of sorts although more and more is leaning towards Fantasy. Now if only we could get a decent Steampunk movie. There are at least 10 books being released between September and November that are considered Steampunk and I want to read most of them so it seemed to fit. I also have a few older novels hanging around that may get worked in. Halloween is also a factor as I like to dress up and dress-up is usually part of Steampunk. And. Well, it is just plain fun. Rarely does Steampunk take itself overly serious and I'm in a mood to be not entirely serious. Loads and loads of stuff. Good stuff. Trust me. Oh, you want to know more? How about a list? People seem to like lists. * At least two interviews. One is in the can and the other is in progress. The latter is shaping up to being something quite special. Hopefully I'll manage to conduct one more interview as well. * Two or three giveaways of Steampunk grab bags from different publishers. Still firming this up a bit, but things are looking very good. 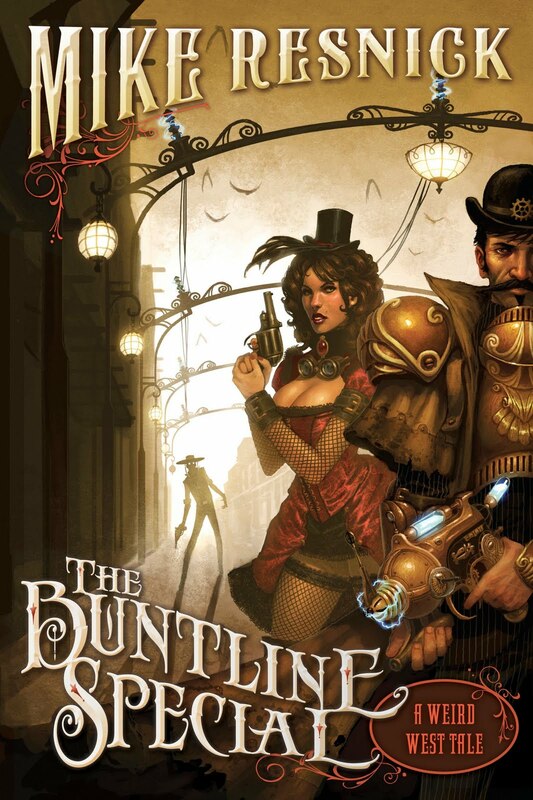 * Reviews of at least 5 Steampunk books this month. I hope to get to more, but some may carry over to November. * Possibly an interview/guest post about the design and construction of a recent Steampunk cover. * And more! Well, probably. P.S. If any fellow bloggers, readers, or publishers have an idea for an essay they'd like to contribute feel free to drop me an e-mail. Cool, I was looking to get Spring-heeled Jack. Looking forward to that review. Cool, I'll be looking forward to reading those reviews. All books I've had my eyes on. I'm so excited. . .and I just can't hide it. . . .
yay for Steampunk month! I just got a copy of "The Strange Affair of Spring Heeled Jack" by Mark Hodder and have been hearing more good things about Lavie Tidhar than I can shake a stick at. yay for steampunk month, and just in time for dress up halloween too!! Great stuff Hatter, looking forward to your reviews in particular. I should add I also love the "new procurements " posts you do, with pictures. As a fan of steampunk books I look forward to your Steampunk Month. 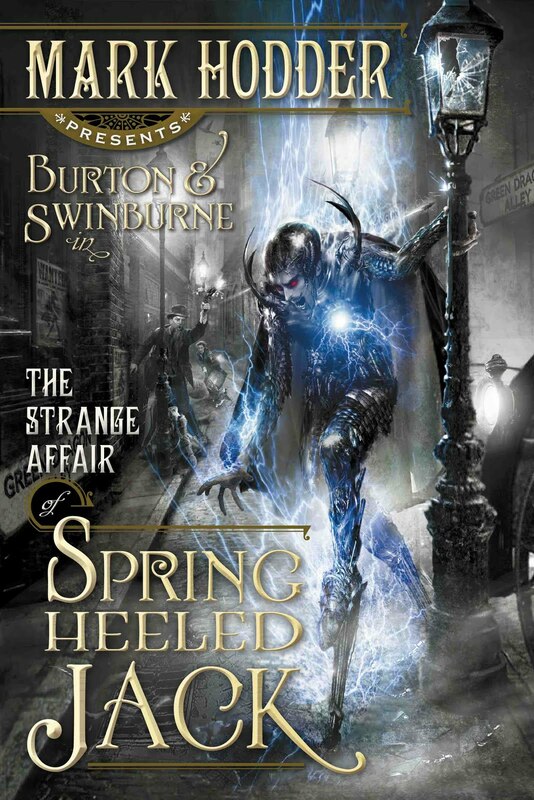 The Strange Affair of Spring Heeled Jack by Mark Hodder has been my number two in my 2010 halftime report. I read and liked The Bookman by Lavie Tidhar too. I ordered my copy of Greyfriar by Clay and Susan Griffith in advance. Meanwhile I will be back to check your postings! Have a great week. Thanks for all the kind words. I'll definitely be getting to Spring Heeled Jack.